Not only does Month of Modern present the Boulder region as one of the nation’s most vibrant hubs of modern design, but it also partners with a non-profit organization to help raise funds for a particular cause. This year, we are pleased to announce our partnership with the American Institute of Architecture Students, an organization dedicated working locally and nationally to enhance educational opportunities available to architecture students and providing a forum for students to interact with their intended profession. From professional internships to school accreditation. AIAS offers students a powerful voice nationwide for positive change. 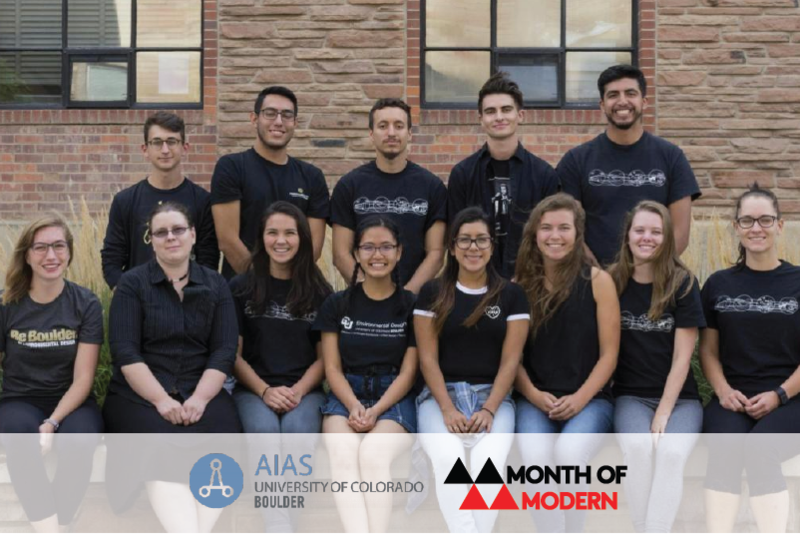 Month of Modern, held in October in Boulder, will feature opportunities to raise funds for this deserving organization at all events throughout the month. The American Institute of Architecture Students (AIAS) is an independent, nonprofit, student-run organization dedicated to advancing leadership, design, and service among architecture students. They aim to promote excellence in architectural education, training, and practice; to foster an appreciation of architecture and related disciplines; to enrich communities in a spirit of collaboration; and to organize students and combine their efforts to advance the art and science of architecture. To learn more about the American Institute of Architecture Students visit here.